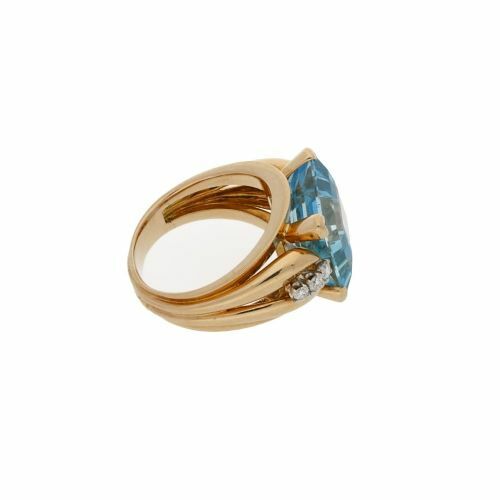 An absolutely stunning early 1950's aquamarine and diamond cocktail ring set in 18ct yellow gold and platinum. 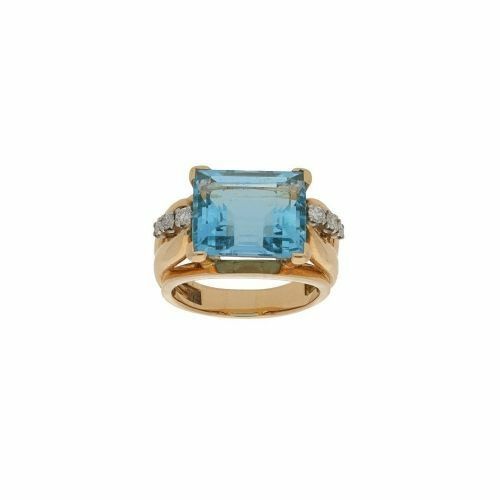 The central emerald cut aquamarine is four-claw set in 18ct yellow gold and is flanked on each shoulder with three transitional brilliant cut diamonds four-claw set in platinum. With a fluted naturalistic split band in polished 18ct yellow gold. Estimated aquamarine weight: 13.02cts. Estimated total diamond weight: 0.42cts. 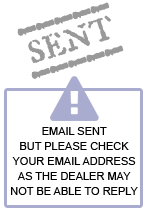 Assessed diamond colour: H. Assessed diamond clarity: VS. 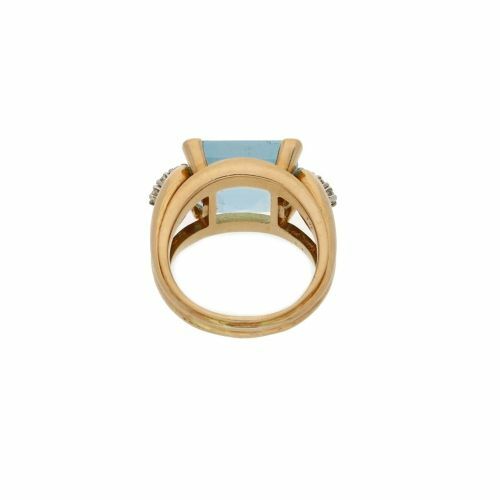 The 1950's aquamarine and diamond cocktail ring set in gold has been added to your saved items.